Leisure vehicles tend to be subject to long, seasonal breaks, during which time the batteries can deteriorate. During use, however, the batteries must manage the power supply of the on-board devices, which in some cases may represent a not inconsiderable load. Vipiemme thus offers a number of batteries in its range for such applications. 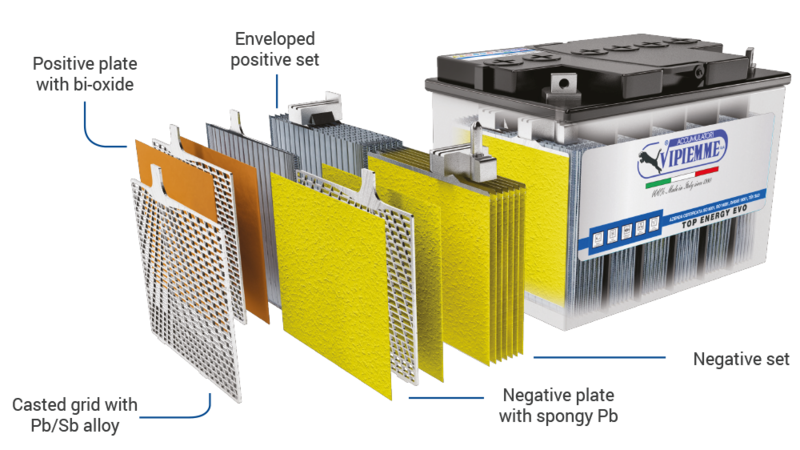 TOP ENERGY dry-charged batteries are designed to meet the most stringent performance requirements of vehicles in circulation. This version is made with the technology of grids cast in Pb/Sb alloy. 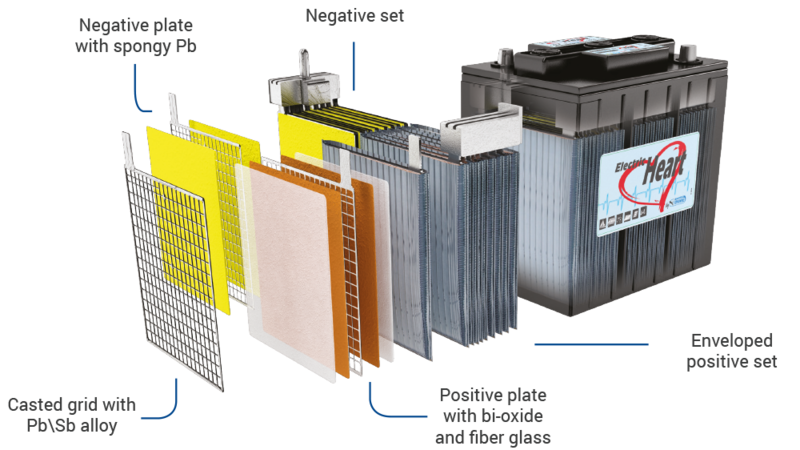 The lead used in the construction of the active material has a 99.99% degree of purity, coming directly from the mines, which ensures a very high resistance of the battery to corrosion. The thickness of the positive plates is greater compared to standard technology. This choice has been made in order to ensure greater energy reserves and increased cycles, in order to meet the increasingly exacting demand of on-board vehicle electronics. The HI-PERFORMANCE polyethylene envelope separator has a remarkable mechanical resistance, offering a guarantee against internal short-circuits.